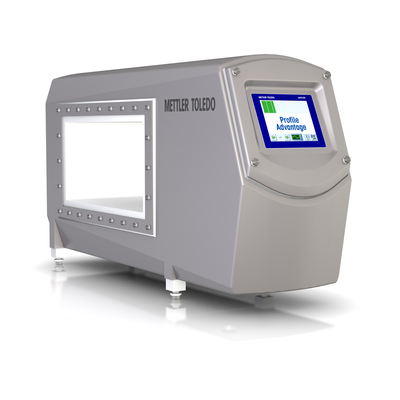 METTLER TOLEDO has recently introduced a revolutionary breakthrough in metal detection sensitivity: the Profile Advantage metal detector. This inspection system’s new metal detection technology delivers unrivalled levels of detection sensitivity to maximize detection and ensure end-user’s brand protection. Multi-simultaneous frequency technology achieves the highest levels of detection sensitivities by analyzing product signal data captured across a wide spectrum of frequencies simultaneously. This is processed by METTLER TOLEDO’s 3S software algorithm in real time, which results in a 30% to 50% higher sensitivity than competing technologies. In addition, Product Signal Suppression virtually eliminates the incidence of false triggering by suppressing the active and unwanted product signals often produced by the “Product Effect”––signals produced by the products themselves, particularly high-moisture products. The benefits to the user are lower running costs and a dramatic reduction in product waste. This new technology makes the Profile Advantage an extremely valuable inspection tool for products such as meat, dairy and bakery products that contain a high degree of moisture––a condition that triggers many false rejects in conventional metal detectors. 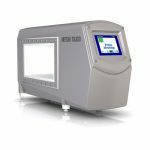 The traditional solution to this problem has been to set the sensitivity of the metal detector lower to eliminate false rejects, thereby limiting its ability to detect all contaminants. By suppressing those false signals, the Profile Advantage inspects products at full sensitivity, ensuring more effective inspection and maximizing product safety. Profile Advantage metal detectors incorporate advanced Condition Monitoring as standard. Condition Monitoring technology assesses the performance and operation of key detector components and circuitry. Adverse trends or changes in performance that can potentially cause system downtime are signaled, giving operators advanced warning before a problem occurs. For more information, contact Sarrina Crowley, Marketing Communications Manager, at sarrina.crowley@mt.com, or visit www.mt.com.